You will get coverage on our 100,000 views website and our 7,000 social media followers. In 2018, Paint Out is keen to renew and extend its sponsor agreements with businesses, arts sector, and other organisations looking to support creative and visual arts, education, and Norfolk and Suffolk heritage sites. Please download the above files and contact us if you are interested. 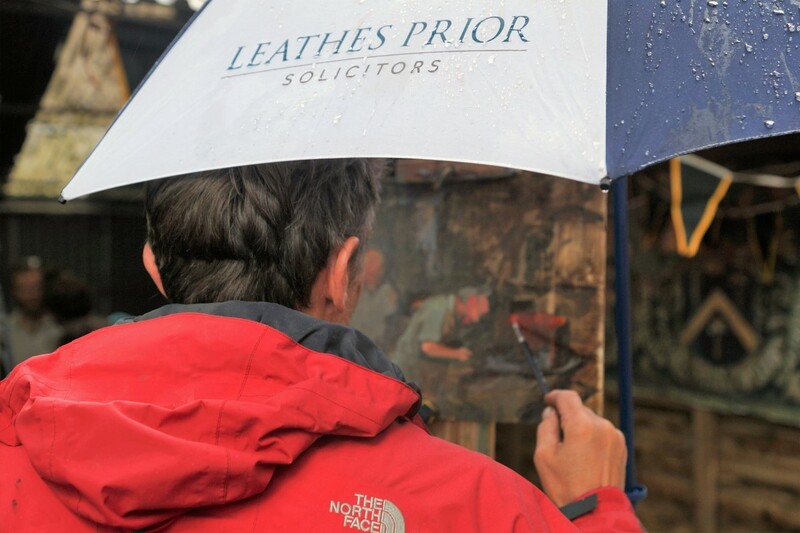 Paint Out is especially grateful for renewed sponsorship support from Leathes Prior Solicitors. Read their announcement here. Paint Out continues to appreciate the support of The Point with some of our printing needs. Paint Out Norwich thanks its partners, sponsors, supporters, suppliers and volunteers, including our primary sponsors Strutt & Parker and Archant. Our arts event partners include the Hostry Festival and our hubs – St Andrews Brew House and Studio 20. Supporters coming on board with discounts and vouchers for the artists and team included – Jarrold & Sons Ltd, Norwich Art Supplies, North Cafe Bar, Storm in a Teacup. Additional suppliers, delivering clothing, graphic design, printing and more, professionally and speedily were also appreciated. These included Paint Out also appreciates its other partners, supporters and suppliers including: Arts RoundUp, Dandis Clothing, Hussey Knights, Norwich Cathedral, RNAA’s Royal Norfolk Show, Service Point UK, The Point, & Zesty Design. Paint Out Norwich thanks its partners, sponsors, supporters, suppliers and volunteers, including our primary sponsor Strutt & Parker, along with La Ronde Wright, Sowerbys, and Archant, as well as Cass Art. Our arts event partners include the Hostry Festival and our hubs – Anteros Arts Foundation and North Cafe Bar. Supporters coming on board with discounts and vouchers for the artists and team included – All Bar One, Giggly Squid, Jarrold & Sons Ltd, Norwich Arts Supplies, The Tamarind Tree, Trattoria Rustica. Additional suppliers, delivering clothing, graphic design, printing and more, professionally and speedily were also appreciated. These included Arts Round Up, Dandis, Service Point UK, Special Design Studio, and Zesty Design. Paint Out Wells thanks its partners, sponsors, supporters, suppliers and volunteers, including our primary sponsor Hopkins Homes, along with Sowerbys, and Archant. 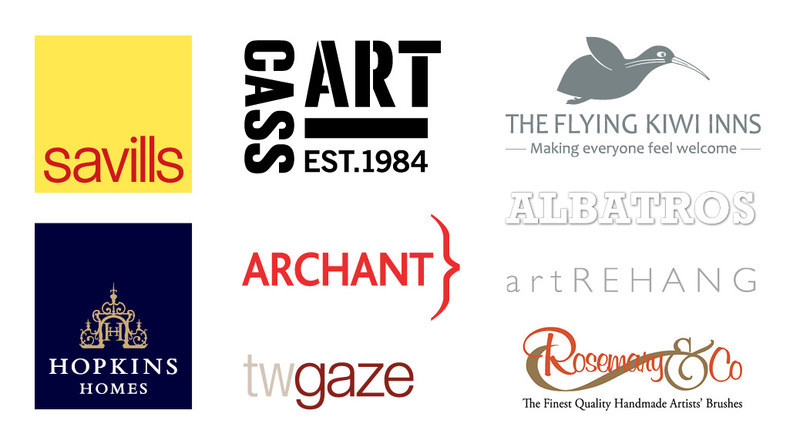 Local suppliers who are supporting us as partners include The Albatros, The Crown (Flying Kiwi Inns), The Globe, The Proper Pizza Co, and Natural Born Grillers. Additional suppliers, that delivered clothing, graphic design, printing and more, professionally and speedily are also appreciated. These included Dandis, Premier Bannerstands in Norwich, Service Point UK, Special Design Studio, and Zesty Design. Paint Out Norwich partners, sponsors, supporters, suppliers include our Silver level sponsor Hansell’s Hostry Festival and Bronze level sponsors: Cass Art, Chris Hind, Jamieson Property Search, Mills & Reeve, Strutt & Parker, and The John Jarrold Trust. 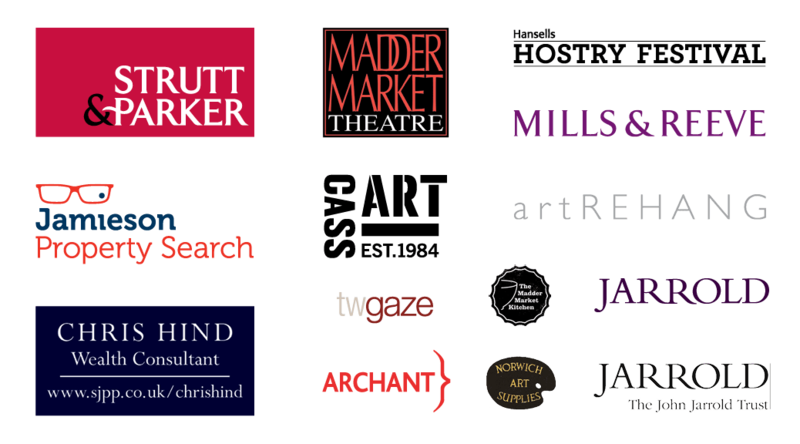 Other sponsors and partners are listed below including Jarrold & Sons Ltd, Maddermarket Kitchen, Maddermarket Theatre, Norwich Art Supplies, and auctioneers TW Gaze. Archant are a family-owned news and media group and publishers of the Eastern Daily Press (EDP24) among other papers. The group, founded in 1845, has its roots in Norwich as well as most of its 1600 staff. It is the fifth largest regional newspaper publisher in the UK and the largest publisher of regional and local lifestyle magazines and associated digital media in the UK. See our media section for several of Archant‘s stories run about Paint Out. 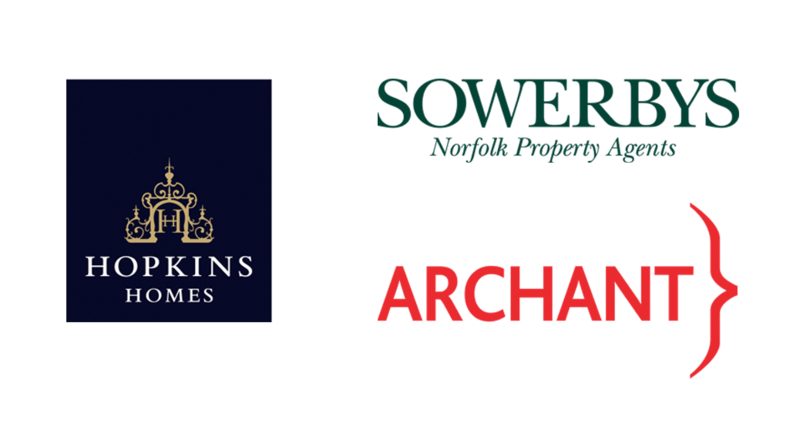 Archant have sponsored the Judge’s Commendation Prizes and People’s Choice Award at Paint Out Norwich 2015.
artREHANG has provided professional services to Paint Out Wells 2015 and Paint Out Norwich 2014 & 2015. They are a bespoke picture hanging and art installation service with over twenty-five years of fine art handling experience, working with art galleries, museums, private collectors, corporate collections, interior designers and artists, to the highest specifications and museum standards. Cass Art have a mission “to fill every town with artists…encouraging everyone to realise their creative talents…” – a mission close to Paint Out‘s own. Hence they are perfect partners especially around our parallel support of young and student emerging artists, giving them an opportunity to paint alongside seasoned plein air artists at our public paint outs. Cass Art partners with some of the leading art brands across the UK, including The National Gallery, The Royal Academy of Arts, National Galleries Scotland and Sky Arts. Cass Art were sponsors the best artist 30 and under category at Paint Out Norwich and of our public entrant prizes at our mass paint outs at Wells and Norwich. Chris Hind is a wealth management consultant and financial planning specialist serving individuals, families and businesses in East Anglia including Norfolk and Suffolk. He has sponsored the First Prize at Paint Out Norwich 2015. Hostry Festival, now in its 6th year, were there at the beginning of Paint Out and out of which the Norwich competition was born in 2014. We are grateful to Stash Kirkbride, Peter Barrow and the Festival, for their continued support of the Paint Out Norwich competition. Jamieson Property Search is an independent property search consultancy based in Norfolk, owned and managed by Jamie Jamieson. Being “based in Norfolk means that you can be assured of Jamie’s in depth knowledge of everything the county has to offer.” They have sponsored the Third Prize at Paint Out Norwich 2015. Jarrold was founded in 1770 in Woodbridge Suffolk and its involvement in the communities of Norwich and Norfolk has long been an important part of the ethos of the business and the company continues to maintain this philosophy through engagement in local economic development, educational, community and charitable activities. Maddermarket Kitchen is a family owned “unique and charming” contemporary restaurant in the heart of Norwich Lanes and a 2014 & 2015 Trip Advisor Certificate of Excellence winner. From 12 November it features a gallery of Paint Out Norwich artworks on its walls. The Maddermarket Theatre has for over ninety years been staging plays, musicals and other events in the heart of Norwich. Its building dates back to the 18th century and was converted in the early 1920s by the Guild of Norwich Players into an Elizabethan style playhouse. In both 2014 and 2015 it has also served as a hub for the Paint Out Norwich events. During November it features a rolling gallery of Paint Out Norwich artworks on its walls to view and for sale. Mills & Reeve is a “world class forward thinking law firm for the 21st century” and one which for 12 consecutive years has made the The Sunday Times 100 Best Companies to Work For list. We are grateful for their sponsorship of the inaugural First Prize in the Nocturne event at Paint Out Norwich 2015. 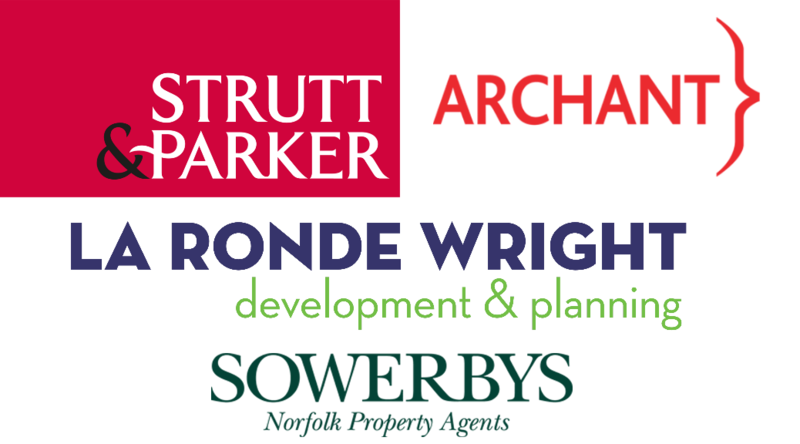 Strutt & Parker are UK-wide estate agents, property consultants, and rural asset managers, with a prominent office in Norwich that serves the area. We appreciate the Bronze level sponsorship that Strutt & Parker have contributed to making the second Paint Out Norwich 2015 competition a success and for their sponsoring of the Second Prize. The John Jarrold Trust was set up in 1965 to support causes in the arts, welfare and community, education, medical and health, churches and historic buildings, the environment and developing countries. Apart from developing countries nearly all of the support relates to causes in Norwich and Norfolk. TW Gaze are a multi-disciplined firm based in the market town of Diss on the Norfolk and Suffolk borders as well as a recently opened brand new office in Wymondham, close to the city of Norwich. The firm’s history and principles have evolved from a background of rural professional work but which has expanded to include valuations together with art and antique auctions (some 2,000 lots a week) to become one of the most renowned within East Anglia. They have provided excellent and entertaining auction services at our gala events in both Norwich and Wells 2014-2015. Paint Out Wells thanks its partners, sponsors, supporters, suppliers and volunteers, including our primary Gold sponsor Savills, Bronze level sponsors – Archant, Hopkins Homes, and Cass Art, and additional brushes prize sponsor Rosemary & Co. Local suppliers who supported us as partners included The Albatros, The Crown (Flying Kiwi Inns), Norfolk and Suffolk auctioneers TW Gaze, and exhibition art hanging experts – artREHANG. Additional suppliers, that delivered clothing, graphic design, printing and more, professionally and speedily are also appreciated. These included Dandis, Hussey & Knights in Norwich, Service Point UK, Special Design Studio, and Zesty Design. Further services were provided at discount by KJW Solutions, MOA Marketing and Mark Benfield. View more detail on our Wells-next-the-Sea sponsors. The Albratros is an historic 19th-century Dutch sailing ship moored at Wells-next-the-Sea harbour quayside. She has a fascinating history and acted as accommodation for some artists and Paint Out team members as well as a social and meeting hub for several days of the competition. Archant are a family-owned news and media group including the Eastern Daily Press (EDP24), Fakenham & Wells Times, and North Norfolk News. The group, which was founded in 1845, has its roots in Norwich as well as most of its 1600 staff. It is the fifth largest regional newspaper publisher in the UK and the largest publisher of regional and local lifestyle magazines and associated digital media in the UK. See our media section for several of Archant‘s stories run about Paint Out. Apart from media coverage, Archant also sponsored the Second and Third Prize awards at Paint Out Wells 2015.
artREHANG has provided professional services to Paint Out Wells 2015 and Paint Out Norwich 2014. They are a bespoke picture hanging and art installation service with over twenty-five years of fine art handling experience, working with art galleries, museums, private collectors, corporate collections, interior designers and artists, to the highest specifications and museum standards. Cass Art have a mission “to fill every town with artists…encouraging everyone to realise their creative talents…” – a mission close to Paint Out‘s own. Hence they are perfect partners especially around our parallel support of young and student emerging artists, giving them an opportunity to paint alongside seasoned plein air artists at our public paint outs. Cass Art partners with some of the leading art brands across the UK, including The National Gallery, The Royal Academy of Arts, National Galleries Scotland and Sky Arts. Cass Art provided art voucher prizes for the public and student Sunrise paint outs. We also appreciate Cass Art‘s write up of Paint Out Wells on their blog. Hopkins Homes sponsored the First Prize at Paint Out Wells 2015. They “truly have East Anglian roots” with their building projects in four local counties: Norfolk, Suffolk, Essex and Cambridgeshire. Rosemary & Co artists’ brushes are all hand made to the finest quality and come ready for acrylic, oil, pastels or watercolour. There are easily portable plein air pochade sets, specialist sets for botanical, garden, or studio painting, and many more besides. Rosemary & Co sponsored one of our Sunrise ‘paint out’ prizes which was won by Roy Connelly. Savills are well known as property agents across the UK (90 offices) and as global real estate services providers worldwide (600 offices). They have a particular love of Norfolk and the fostering of an “entrepreneurial spirit” among their staff. At Paint Out Wells 2015 they provided the enormous exhibition marquee, sponsored the gala auction, and even lent us an excellent member of staff as a volunteer. The Flying Kiwi Inns are a group of award winning independent boutique hotels across Norfolk. We were lucky enough to sample the excellent food on several nights at The Crown as well as at the gala auction night on The Buttlands, at Wells-next-the-Sea. Many of our artists enjoyed refreshments at the bar and restaurant, and the internet and office space provision was essential to our success. Their motto is “making everyone feel welcome” and we were certainly made to feel that.